Laleh Khadivi, an Iranian-American author, filmmaker and Emory's Creative Writing Fellow, won a $50,000 award in recognition of her first novel, The Age of Orphans. Khadivi received the Whiting Writers' Award at a ceremony in New York City Wednesday, one of 10 honorees (read the report). 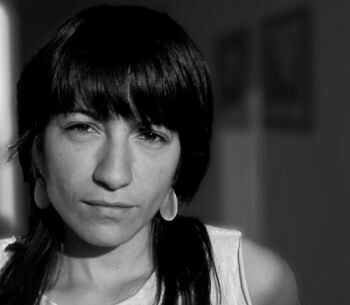 Laleh Khadivi, the 2007-2009 Creative Writing Fellow in Fiction, holds a BA from Reed College and an MFA in fiction from Mills College. Primarily a fiction writer, her work has been featured in the San Francisco Chronicle Magazine's special issue on "Emerging Writers" and The Concord Review. Her first novel, The Age of Orphans, will be published by Bloomsbury in Spring 2009. She has also directed and produced extensively in documentary film, covering topics as far-ranging as the American criminal justice system, women in prison, and life and culture in Brazil. She has been the recipient of a 2008 Whiting Writers' Award, a Soros Foundation Award, the Carl Djerassi Fellowship in Creative Writing at the University of Wisconsin, and a Paul Robeson Foundation Grant. Ms. Khadivi was born in Esfahan, Iran. Visit the official website for Laleh Khadivi's documentary 900 Women.